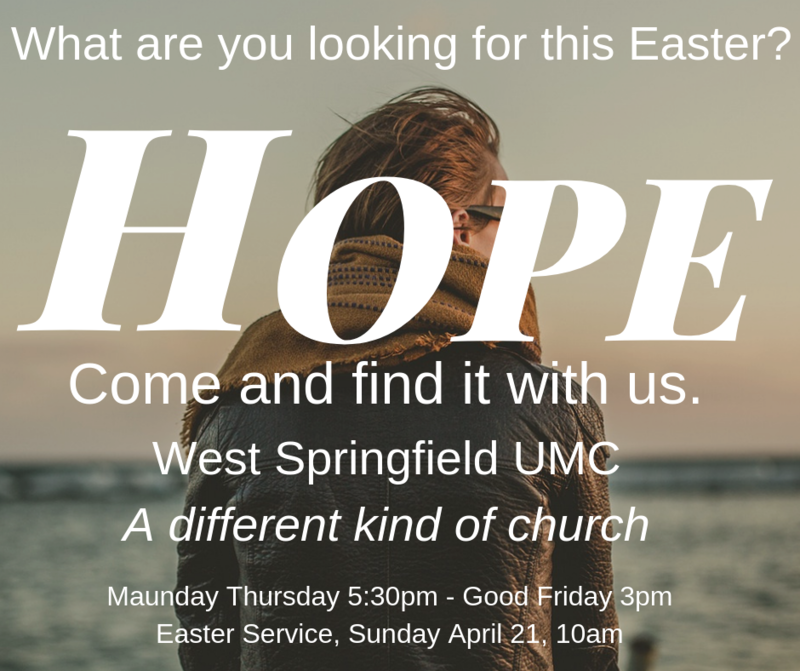 Join us this week as we prepare for Easter! Here’s what’s happening this week. Noon – 2:30: Ecumenical Good Friday Cross Walk. Meet up at noon at the former St. Frances Cabrini Church on Main Street. The walk lasts until about 2:30 p.m. in the downtown area of West Springfield. There are 10 stops along the way, and we finish at the First Congregational Church on Park Street. Is your heart at peace or at war? Is your heart at war or peace this Easter? It is this small bit of the story for Holy week that brings me closer to God. Why? Haven’t I been betrayed by others? How do I feel about them now? More importantly, haven’t I too betrayed others? Haven’t I betrayed myself? How many times have I betrayed my promises to God as well. “I will try harder. I will forgive him/her? I will not lie any more? I will go on a diet?” It is a frightening, almost endless list. I have just finished reading “The Anatomy of Peace,” a book recommended by our Bishop. It was produced by an organization called “The Arbinger Institute.” (if you wish to borrow my copy, let me know) Within it’s pages is a story of loss and redemption or at least a possible way towards redemption for some fictional characters who are struggling in their lives. The book focuses on a single theme, whether our hearts are at peace or at war. It made me think about Jesus in the garden. His posture, his words, his calm demeanor as portrayed in the Gospels convey one thing for me, His heart was at peace, even with those who would abandon and betray him. There is a subtle difference here between having a heart at peace and a heart that is resigned to defeat and war. As a Christian, for that matter as a human, we are often torn between the struggles of our relationships with one another, even our relationship with God. How many times have we turned from God because our hearts were not at peace with God but instead upset and at war. How easy it is to be angry at God when things go wrong in our lives. The same is true for many of our relationships. This lent, I have been praying, more than ever before in my life. I have found that a consistent time of the day (for me it is early morning, I am an early riser) has helped me remember to pray and to stay in prayer just a bit longer. What I have found from this is that my heart truly does stop waging the hundreds of ‘wars’ that move around inside my head and settles down, it rests at peace. All those struggles stop for a moment, suspended, and in the words of the authors of the book “I step outside of my box” for just a while and see the world around me no longer filled with objects but with beauty and peace. That’s part of the point of the book. We as humans cannot see each other until we see each other as humans, as people instead of labels, objects if you will. In today’s politicized world, stepping outside of the box is not easy, for me, prayer has made it possible. I then think of Jesus in the garden. Why was he there? In Matthew 26 it says “Sit here while I go over there and pray.” I think he was there to bring his heart to peace. He knew His end was near, He even knew he would be betrayed. I think he needed to make sure he saw His disciples the way they really were, as people complete with faults and struggles of their own ( in church speak it would be ‘filled with sin’). Part of me thinks he wanted to see Judas and Peter as people one last time before what was inevitable would happen. So, he prayed. I understand that the book is designed to appeal to a broad audience and so it must remain outside of faith. It is a shame in a way because one of the suggestions for getting out of our own boxes could have been ‘to spend time in prayer,’ ‘to pray as Jesus must have in that garden.’ God was there, God is here as well, whether it is in the early hours of your busy days as I do, or some other time, I encourage you to take a moment to bring your heart to peace instead of war, to sit, lie, stand, kneel, in prayer this Holy week, for certainly a heart at peace can change the world. Aren’t you excited about Lent and Easter? We are too! Our Lent series with Pastor Rick and Rev. Sam is all about reflection on our faith journey, forgiveness, and prayer. The Crafty Ladies have prepared some wonderful reminders for us; the pocket bead string and the ‘Prayer is your love note to God’ refrigerator magnet. If you haven’t received yours pick one up any Sunday during Lent. Can’t make it to church, call and leave your name and address with the church and we will mail one to you! Sunday, March 25th, Palm Sunday: – come join Rev. Sam as we celebrate the arrival of Christ into the city. Maunday Thursday, March 29th, 6:30pm: – we will share a communion meal of soup and bread followed by a short service in the Sanctuary. Good Friday Ecumenical Walk, March 30th: Starting at noon at St. Frances Xavier Cabrini Parish. The Way of the Cross is a walk through the downtown and Mer-rick sections of West Springfield. There will be stops at various churches, and at the town green. If you can’t walk the route, you can follow by car. Easter Sunday: April 1st at 10:00am: Come and Celebrate the resurrection of our Lord!